By Kuo Tong, Sneha Peck, Rinki Kapoor, and Angelo Encarnacion, Navigant Consulting, Inc. While recent scientific breakthroughs for regenerative cell therapies are bringing great hope to patients and providers in desperate need of treatments and cures, they have created a major question mark for the healthcare system at large. How do you determine payment for something of enormously high value that has literally never existed before? In 2017, the Food and Drug Administration approved the first of its kind — CAR-T regenerative cell therapy, in which a cancer patient’s own immune cells are taken and altered in the laboratory to bind with and kill the patient’s own cancerous cells — and payers are in the unenviable position of having to play catch-up. With a long list of long-awaited regenerative cell therapies in the final stages to be submitted for approval, many in the industry were looking for the introduction of CAR-T to get the systemwide reimbursement strategy and plan situated. 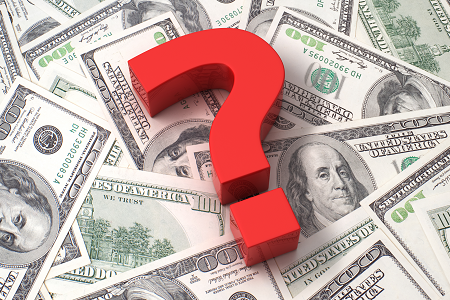 Unfortunately, the largest payer in the United States, Centers for Medicare and Medicaid Services (CMS), has yet to determine a holistic reimbursement approach. For other payers in the United States, it’s been hit or miss as well. In other words, currently no comprehensive reimbursement model adequately pays for CAR-T therapies across all payers and settings of care. As a result, issues with reimbursement remain one of the major barriers to CAR-T adoption by healthcare providers, and this could likely pose a similar threat to other novel, regenerative cell therapies soon to be launched. Currently available CAR-T therapies, such as Yescarta and Kymriah, received breakthrough designation and accelerated approval on Phase 2 pivotal trials, which meant clinical development and regulatory approval outpaced optimal market access conditions. (Note: Future CAR-T therapies might not be able to go through this accelerated path.) However, in any case, the market was at least in part unprepared for this unparalleled treatment category, because the makers of CAR-T and other regenerative cell therapies did not proactively consider or work with payers on reimbursement strategies during early development stages. For background to help illustrate the quandary, CAR-T treatment can be delivered in an outpatient setting, such as an infusion center. Traditionally, outpatient drugs and biologicals receive new codes and fee schedule amounts fairly quickly, with few administrative hassles. Payments are typically slightly higher than average selling prices (ASPs), which allows hospitals to budget, plan, and bill accordingly. Due to the potential for adverse events associated with CAR-T, however, patients may experience major toxicities or require ICU admission up to 50 percent of the time. On average, patients spend 14 days in the hospital post-infusion. Based on the current reimbursement model, this outpatient care, coupled with hospitalization within 72 hours, becomes a bundled payment for inpatient reimbursement that is paid under a Medicare Severity Diagnosis Related Group (MS-DRG). However, payments bundled under existing MS-DRGs are insufficient to cover the average cost per patient on CAR-T, since the therapy and associated costs have never been experienced to date. CMS officials, medical specialty societies, and hospital providers and administrators alike recognize that current MS-DRG rates are grossly inadequate and do not account for the costs of delivering such high-value, breakthrough therapies, leading to a detrimental effect on patient access. To be fair, CMS has considered several potential solutions for improving the reimbursement environment for high-value regenerative medicines. And professional societies, such as the American Society for Blood and Marrow Transplantation (ASBMT), have offered innovative ideas to CMS, urging the agency to consider the unique nature of this new class of therapies and the negative financial impact that hospitals are likely to face within the current inpatient payment system. These recommendations included implementing an immediate form of financial relief to hospitals by establishing separate payment for CAR-T products, similar to Transitional Pass-Through (TPT) payments, employed by CMS for products used in an outpatient setting. Here, eligible drugs and biologicals would receive separate application service provider (ASP)-based payment for CAR-T products, in addition to the usual inpatient hospital service payment for treatment. In addition, the society requested that CMS create a new MS-DRG for CAR-T therapies, so the reimbursement rates for providing these services will adequately cover provider and facility costs. Some options exist within the current inpatient prospective payment system to address the gaps and help hospitals obtain some level of reimbursement to address the costs of newer therapies. These largely administrative-in-nature solutions include: (1) Medicare outlier payments, which support cases incurring extraordinarily high costs, and (2) new technology add-on payments (NTAPs), which allow additional payments for new technologies inadequately paid for under an existing MS-DRG. As CMS and other payers determine a new, suitable reimbursement strategy for these novel therapies when used in the inpatient hospital setting of care, the creators of regenerative cell therapies can take action to avoid settling for current patchwork strategies that generally devalue the treatment options and put providers in the red. Each MS-DRG is defined by a particular set of patient attributes that include principal diagnosis, specific secondary diagnoses, procedures, gender, and discharge status.4 Millions of annual discharges each year are assigned to one of less than 1,000 MS-DRGs. This type of inpatient hospital prospective payment system is not intended to provide payment equivalent to hospitals’ costs per case, but rather to group similar cases using predefined criteria and apply set payment rates to all cases within the MS-DRG. An important precedent for regenerative cell therapies is that there are numerous examples of specific technologies with International Classification of Diseases (ICD) procedure codes that align to their own MS-DRGs. MS-DRG assignment for patients treated for intracranial hemorrhage and cerebral infarction with tissue plasminogen activator is contingent upon numerous factors. From the table below, one can see that a patient without complications and comorbidities who is treated with tPA is placed in the same DRG as a more complicated patient, which reflects the added costs of treating these patients compared to patients in MS-DRG 066. In each of these examples, separate procedure codes were established to identify cases using thrombolytic agents and high-dose chemotherapy. Once codes were established to identify these cases, arguments could then be made that clinical and cost profiles required separate, distinct treatment within the MS-DRG system. CAR-T therapies are rapidly evolving, with a robust pipeline of next-generation cell therapies in development.7 Most commercial payers are currently managing CAR-T on an individual basis by writing single-patient agreements. Increased availability and competition on the horizon may reduce cost of therapy; however, it may also give rise to increased payer management. Payers are likely to push for alternative reimbursement options, such as establishing outcome-based contracts, paying for treatment over time, enforcing strict preauthorization, establishing risk-sharing pools, etc. As CMS and other payers grapple with how to classify and establish payment for breakthrough regenerative cell drug therapies, the innovators behind these drugs have options to ensure market adoption and access – one of which is to establish MS-DRGs that recognize the use of specific technologies. The key is to be proactive and strategic to plot an astute path to market access that demonstrates improved patient outcomes and by pricing products to value. If existing MS-DRG and other payment mechanisms do not accommodate the high value of novel therapies, we recommend planning, and in some cases execution, of coding and payment policy changes during the clinical trial phases. Waiting to implement or request changes for hospital inpatient reimbursement only impedes market access and slows the ability to deliver high-impact care to patients. Kuo Tong is a managing director in the life sciences practice of Navigant, where he leads a team dedicated to market access engagements. Tong works with commercial-stage companies to develop comprehensive market access strategies and is known for his work with disruptive technologies that have unique form factors, novel routes of delivery, and policy and market access challenges, across all settings of care. Additionally, he works with companies in earlier stages of development to raise funds and ensuring that product R&D and clinical activities align and support optimal pricing, reimbursement, and market access. Rinki Kapoor is a senior consultant in Navigant’s Life Sciences practice. She has over 10 years of experience in R&D in diverse disease areas including oncology, nephrology, and psychiatry. She also has expertise in cell therapy commercialization, opportunity assessment, market access, disease area strategy, commercial planning, lifecycle management, competitive intelligence, and value messaging. Sneha Peck is a managing consultant with Navigant’s Life Sciences Strategy and Consulting team, with extensive experience in CMS payment policy and market access. She works with medical device and pharmaceutical companies to bring complex and novel therapies to the market, focusing on optimal coding, payer value messaging, and commercial planning strategies. Angelo Encarnacion is a managing consultant in the Life Science practice at Navigant. He has over 10 years of life science experience working with pharmaceutical and biotechnology industries spanning several stages of product development from discovery, preclinical and clinical R&D, to commercialization. Encarnacion has led and conducted a diverse range of engagements, including the commercialization of cell therapies. He has authored several peer-reviewed publications and disease area management trend reports.